Located on the ground floor, with French door access. 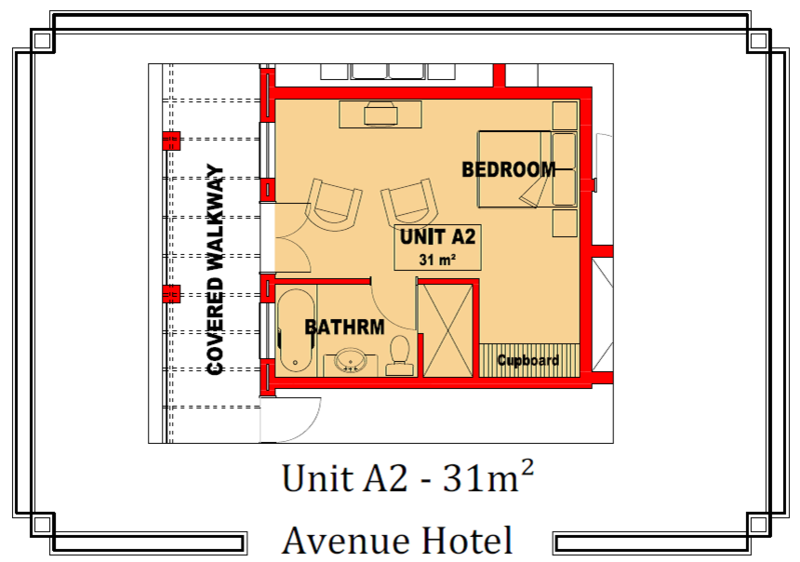 Double windows, quiet room, ensuite bath and shower with grab rails next to toilet and inside shower. Internet point is installed. The walkway from the room to the main building is fully covered to protect against rain. The Avenue Retirement Home is a hotel in Fish Hoek for the over 50s. If you want to retire in hotel-style comfort, this is the place for you. This independent living environment is sold on the basis of Life Rights. It has everything you need in order to ensure your Golden Years are spent in enjoyment and peace of mind.